10 Best Wing Joints in Delaware! There is no shortage of good wings in Delaware and the top 10 selection of chicken wing joints can help you prepare for your next game day or outing, workplace lunch or a great meal for your family. 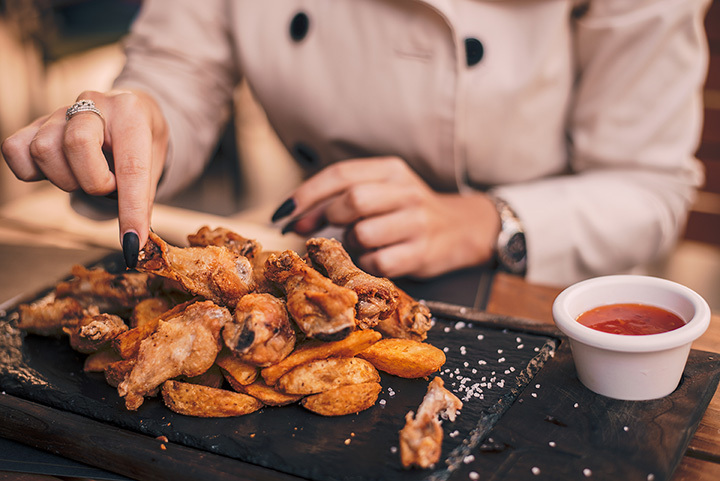 Whether you enjoy soul food, Cajun style, spicy wings or exotic, check out these great places to grab wings in Delaware! You must try the Pineapple Express Wings here. These eight jumbo wings are slow cooked for hours, fall-off-the-bone tender with a crispy fried coconut breading and served with sweet & spicy pineapple. Try one of their Buffalo or Old Bay wings and decide which recipe is your favorite. Piree’s is all about great tasting, flavorful chicken. They have seven unique sauce flavors from mild to wild, for every taste and palate. Lemon & herb, mango & lime, mild, medium, hot, extra hot and extreme (buckle up for the last one) round out a crowd-pleasing assortment that keeps patrons coming back for more. Don’t worry if there are vegetarians in your group, because they have a vegetarian platter that they offer. Everyone is covered at Piree’s Piri Piri Grill! Making meals daily from scratch, Jazzy Jay’s Soul Food Café in Dover is quickly becoming a locals favorite. Located on the southbound side of Route 13, Jazzy Jay’s is easily accessible. Order your meal and pick it up on the way home, or eat in-house and enjoy the casual atmosphere. Check their Facebook page which is updated daily for hours of operation. A one-of-a-kind saloon in the heart of Delaware, Cowboy Up is open for lunch and dinner. Work off those calories with country line dance lessons, workshops, team trivia, live bands, events, concerts and so much more. Enjoy 13 different varieties of wings including their signature Crown Royal Regal Apple Glaze wings. You won’t be disappointed! Voted runner up for 2017 First State Favorites, Where Pig’s Fly in Dover serves up a menu that will have you salivating and coming back again and again. Locally owned and operated by an Air Force family, they serve soup/salad, ribs, chicken, brisket, burgers and more. They have premium homemade trimmings like baked sweet potato, Memphis fries, and skillet baked beans that you must add to your order to complete the flavorful menagerie. When you’re finished, make sure you try their creamy banana pudding filled with fresh bananas, vanilla wafers, and topped with whipped cream & cherries. McGlynn’s Pub & Restaurant has all you can eat wings after 5 p.m. every Wednesday evening. With a half dozen recipes to sample, you can’t beat the price of $11.99 or eat them anytime. Voted best brunch menu for 2016, McGlynn’s is one of the most visited restaurants in the city of Dover and continues to provide excellent customer service and menu options since 2008. Inspired by the year Middletown was founded, 1861 offers a comfortable dining experience in a casual yet elegant space where diners can enjoy simple, clean cuisine made with the local ingredients brought to you by knowledgeable and accommodating staff. Try their 1861 Spicy Wings made with caramelized onion, garlic and rosemary. Just Hooked began in 2010 when the Indian River Seafood company opened the first Off the Hook in Bethany Beach, Delaware. A year later, Just Hooked opened in Fenwick Island sparking more Off the Hook inspired locations in the surrounding communities. They make the idea of “Farm-Fresh-To-Table,” a reality for every customer. Try their hot-sauce-brined wings, parmesan dusted fried oysters, or crab n’corn bruschetta. Serving only fresh, never frozen chicken, Kick n’ Chicken uses their very own seasoning and batter recipe on their fried chicken and everything is prepared fresh to order. Catering both in person and off-site, you have the option to order dozens to hundreds of chicken wings in a variety of flavors. They also serve full chicken wing meals, fried chicken, wraps, tenders, sandwiches and salads. Last but certainly not least, is the Two Stones Pub. Patrons who have visited Two Stones Pub have appreciated that they offer a menu that can pull off being a little different without overdoing it. Check out their jumbo chicken wings with a variety of sauces, dirty kettle chips, Chesapeake Crab dip and many other fan favorites.